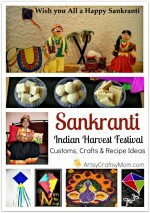 Makar Sankranti is the first major Indian festival of the year, celebrated all over India. Yes, it is known by different names in different regions and by following different rituals, but the one common thing is the enthusiasm with which everyone celebrates, especially with some unique Sankranti customs, crafts and recipes! 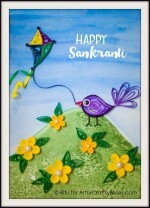 All the yummy laddus and vadas are there as are present during other Indian festivals, but a unique feature of Makar Sankranti is the Kite Flying on this day. You might not do it big, but everyone tries their hands at flying a kite and it is a beautiful sight for sore eyes! I personally do not know how to fly a kite, but I make sure to watch and enjoy this beautiful festival. You could be sending a message to God, or playing with the wind – either way, you’re sure to have fun! 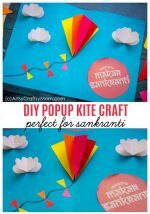 But you don’t have to wait for the festivities to start before you do, you can get going with some beautiful, heart warming books about kites that are perfect for Makar Sankranti! 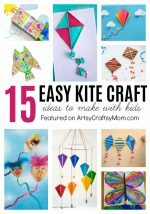 Sometimes a kite can be more than just a toy, and that’s exactly how it is with Lalu in this delightful little book! Lalu loves his red kite and can’t bear to part with it. With colorful illustrations and simple text, this is a must read! Based on an Iranian setting, this book talks beautifully about a friendship forged over a red kite. A little girl in crutches longs to see the world, and a red kite floating outside her window comes to her rescue. Absolutely heart warming, this book has been featured at several international children’s book festivals. What happens when a boy finds a kite – not any kite but a wish-fulfilling kite? In this magical story set in Andhra Pradesh, little Yella finds a kite and names it Korika! The word soon spreads that Yella has found a magic wishing kite. What happens next is for you to read and enjoy. A beautiful tale about sibling love and making choices. Every change in seasons brings with it several delightful little surprises. The changes are visible in all parts of nature, even the Kite Tree! This book about changing seasons is perfect for Sankranti, considering it is when the days begin to get warmer. 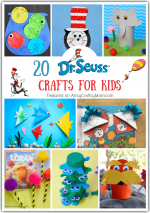 With lots of simple and colorful pictures, this book also makes a great gift! A cute little book set in Lahore in Pakistan, this is the story of a little boy named Malik. At Basant, the spring festival of Pakistan, enthusiastic kite competitions are held and Malik wants to win with his kite, Falcon. It’s not an easy job, but Malik believes in himself – he knows he can be a king for this special day! Flying kites is also synonymous with soaring high and achieving new heights, of daring to dream. 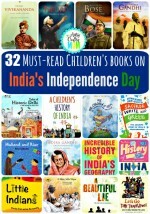 Let the kids get into the spirit before the festival with these books about kites, and enjoy Sankranti to the fullest! Here’s wishing you and your family a Happy Makar Sankranti! « 15 Sparkling Fireworks Craft Ideas for Kids – Fun without Fire!